"He has a strong history of fast starts at this venue, signing for two Friday 64s, two 65s and a 66." Weather forecast for Norton, Massachusetts: There were extremely hot temperatures earlier in the week but Friday's outlook is partly cloudy with a max of 74 degrees and a small chance of rain. Winds are expected to hold steady at around 7/8mph all day. First-round leader history: Dustin Johnson went out early and shot a 65 that wasn't matched last year. However, R1 leaders in the previous three editions all came from the afternoon wave. It was split in 2013. As the fields get smaller in these play-off events the gaps between tee-times and the overall amount of foot traffic diminishes. Add that to a weather forecast which doesn't show any a.m./p.m. bias and I think we have a free choice and shouldn't pay much attention to tee-times. 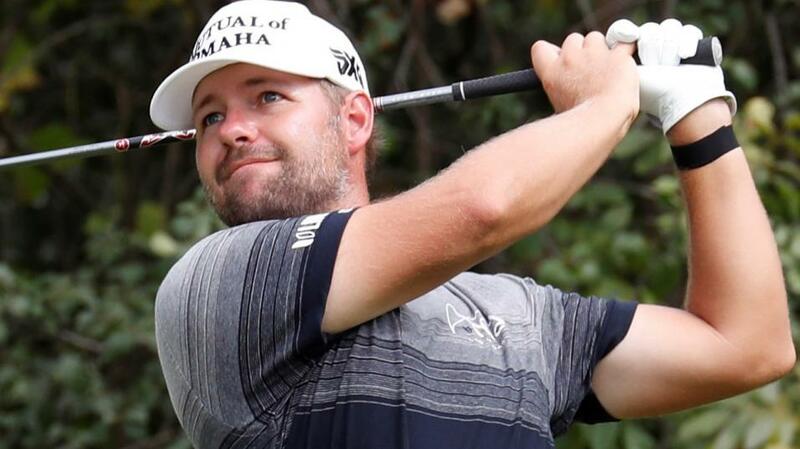 Ryan Moore is already on the board at TPC Boston for leading after day one. That was in 2016 when he shared R1 honours with James Hahn after both fired afternoon 65s. The American went one better in Friday's opener in 2010 when shooting 64 to sit third after the first lap and repeated the exact feat in 2012. And it doesn't stop there! Moore was second after a first-round 65 in 2007 and seventh after setting out with a 66 in 2013. In other words, he has a strong history of fast starts at this venue, signing for two Friday 64s, two 65s and a 66. That's a habit he's also got into over the summer. Moore's last six openers read 69, 63, 69, 68, 70, 66. That's helped him sit second after day one of the Wyndham two starts ago and also in the top five after Thursday's action at Carnoustie. He finished T6 and T12 respectively at those two events so is in good form and I'll take him at 80s to make another day one impact. Over in Denmark this week it's the final counting event of the European Ryder Cup race. Poulter needs a wildcard pick - and will surely get one - but it would be typical of the Englishman to give Thomas Bjorn a final, timely nudge by doing something eye-catching here. That could well be a via a low one on the first day as it's been Poulter's forte over the last few months. He shared the first-round lead at the US Open and was held it on his own at the WGC-Bridgestone Invitational after a stunning 62. Either side of that lightning start at Firestone, he was fourth after day one in Canada and fifth following the opening lap at the PGA Championship. As for his TPC Boston starts, they're also hugely encouraging. In four of his last five visits, he's ended round one in the top 10 thanks to a 66 and three 67s. Poulter also closed with a 66 here last year to make the top 25 so it's a course where he can rack up the birdies and go low. I did think about Abraham Ancer at 125s but it's asking a lot on his first start at the course. So I'll play one of the faves and take Jon Rahm at 28s. The Spaniard's form has been up and down and he's occasionally thrown in an early stinker but the general pattern is that he's a proven fast starter. Beginning with the 62 which gave him the first-round lead at the CareerBuilder Challenge, he's finished round one inside the top 10 on nine occasions this year. The most recent was thanks to a 64 at Firestone which put him T4 and I think he has every chance of going low this week. TPC Boston is definitely a Jon Rahm course and he showed it from the off last year when signing for a 67 which put him tied second after round one. He went on to finish tied fourth. Obviously ties can hurt shortish prices but I think Rahm can separate himself from most the of the field here to give us a full each-way return and hopefully the jackpot. As for tee-times, it's: 08.27 Moore, 09,15 Rahm, 13.16 Poulter.